Learning management system or LMS, similarly to other SaaS solutions is undergoing significant changes caused by advances in cloud computing, social integration, mobile technology, and new devices. We can’t be sure of specific directions that LMS will take once it’s no longer a special educational service from a few years back, but in this article we sugges a few emerging trends in LMSs that show how it’s expanding across corporate and social universes and beyond. Around two years ago two premiere educational institutions opened the way to what is, perhaps, one of the emerging trends in LMSs today. The Massachusetts Institute of Technology and Harvard University partnered to push for edX, an informal consortium of free web based courses from the two universities. The courses are similar to the universities’ traditional modules, but students don’t get credits, just certificates of completion. The next summer, Stanford, Princeton, the University of Pennsylvania, and the University of Michigan started to offer their brand of online courses. 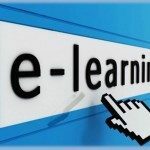 MOOCS is offered free to anyone in the globe who want to partake in the brand of course expertise found in premier learning institutions (mostly in the U.S.). It has a noble goal: to educate thousands around the world. As tuition fee increases and educational subsidies shrink, MOOCS offers an alternative to get the knowledge, but not the credits. In many ways, MOOCS are like cookies in food tasting booths that hope to pull you to buy the whole jar. Not only are universities serving their calling (educate), they can shortlist and attract older but able students like professionals and small business owners who may want to pursue higher learning one day. We expect more MOOCS being offered via LMS. No longer are LMS limited to what the software vendor develops. The best or top LMS soon will provide an easy integration of blog, social and video plugins that can enhance learning or collaboration for group studies. YouTube, Twitter feeds, LinkedIn forms, or blogs are now being integrated in the course administration or collaborative learning platform. PLE-based LMS can personalize the students’ learning environment with these free plugins or add-ons. More importantly, students can at once correlate the course’ standard learning principles with groundbreaking knowledge. For instance, a course can explain about project management methodologies, while students pick up future project management trends via the social tools. Likewise, permission-based PLE can track students’ search context and social interactions in relation to the course material to provide a more in-depth reporting on their learning performance. The use of games to spruce up learning has been around since we’re in prep school. It’s good that today’s LMS are integrating this tested concept with competitive games in student groups. eLearning badges are typical of these gaming features. He or she who answers the fastest vis-a-vis right answers gets the brownie. Likewise, gamification is finding a market in the corporate world as HR executives are familiar with its mechanics and outcomes, not unlike in team-building programs. In the past, HR professionals and school counsellors depended on Talent Management (TM) systems to identify knowledge gaps in students or employees to manage their progress. Today, advanced LMS go beyond enrolling students and delivering course materials in a snap. They are integrating TM, where the student’s learning level and curve are assessed to match the right course material and pace their learning. As with most technology services, LMS dynamics is being reshaped by mobile technology. Mobile functionality like HTML5 sites and mobile apps will be the next normal for LMS to target tablet-toting students who access LMS at the comfort of a coffee shop and its public wi-fi.